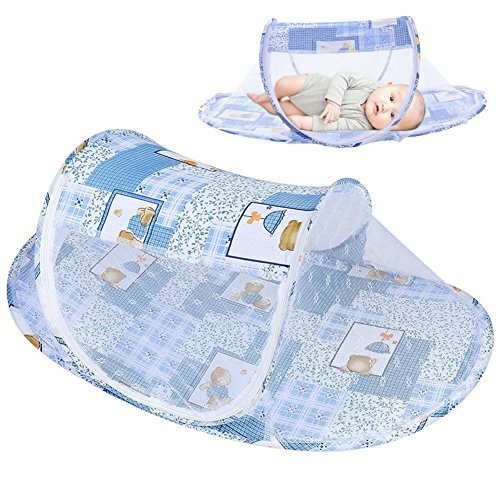 Baby Mosquito Net, Portable Foldable Mosquito Summer Comfortable Sleeping Tent for Newborn Infant Toddler Home and Travel (Blue) by Yosoo- at My Pregnancy Place. MPN: Yosoorpwt1xuf5z-03. Hurry! Limited time offer. Offer valid only while supplies last. Specifications: Condition: 100% Brand New Material: Polyester, Fiber Cloth Color: Orange, Blue(optional) Size: Approx. 1. Please note that this package only includes baby mosquito net and it is without the mattress.